Jim Plant waxes lyrical about his favourite Velo and says everybody should have one. Was it all downhill after 1931? If you are a dedicated Velo man, or woman, you probably don’t realise that your life is not complete if you have not yet owned, or at least had a decent ride on, a Mark 1 Cammy; the best vintage motorcycle ever made! Let me expand on that last comment – the pre-1932 Cammies are the best looking, before they started to put on weight. If you don’t believe me, look at the centrefold pin-up from the 1928 Velocette catalogue; the Model KSS; price £78.15.0; and 80mph guaranteed, hugely impressive for the time. A showroom line-up from 1927, with the ‘Cammy’ Velo priced at £65, something of a bargain given that the price for a new bike rolling off the production line a year earlier was £75! Note how the engine sits low in the frame under that sleek tapered petrol tank. See how the top frame tube seems to make one uninterrupted sweep back from the headstock to the centre of the rear wheel and how the one-gallon oil tank is neatly tucked between the saddle tube and the slim rear mudguard. 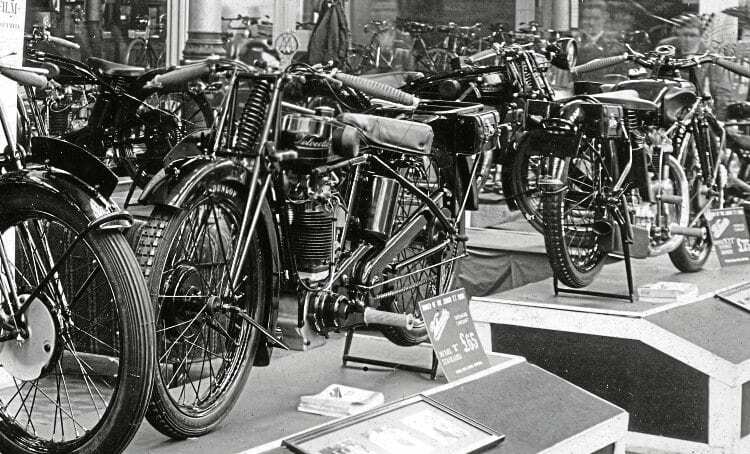 These wonderful machines are not antiques to be hidden away but still thoroughly practical motorcycles designed just five years after the end of the First World War. If you stay off motorways and busy dual carriageways, on a Mark 1 you can keep up with modern traffic without any problem, especially if you have fitted the optional footchange which works in exactly the same way as the positive stop used on all modern bikes, and which Veloce developed in 1928. The only thing likely to interfere with your enjoyment is the dreadful state of modern roads. When I first rode a rigid bike in the late 1960s I hardly noticed the lack of rear springing, but now you have to keep your wits about you to miss the potholes. A good spring saddle will help iron out all but the worst craters, but it’s your wrists that really suffer. Throughout the summer months I still like to use the Mark 1 if I can be sure of getting there and back in good light.